Ruby is the birthstone for July. Rubies are beautiful evoking passion, fire and romance. 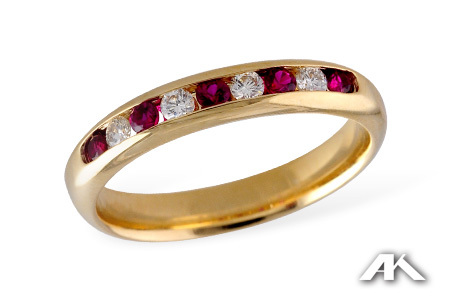 Rubies are also durable so you can enjoy them often and for a long time. Rubies are known as the King of Gems, but we seem to identify with the feminine side of Rubies. No other gemstone possesses the deep red color that a fine Ruby has, such a lovely gem.